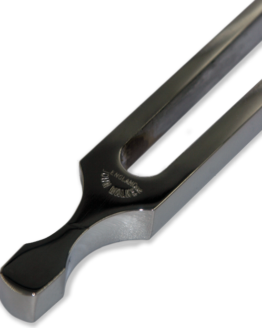 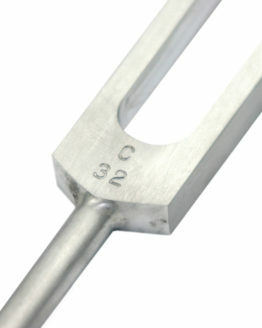 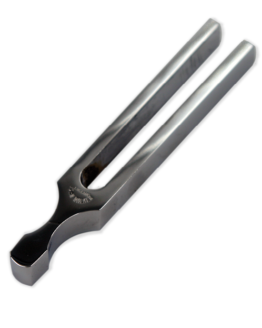 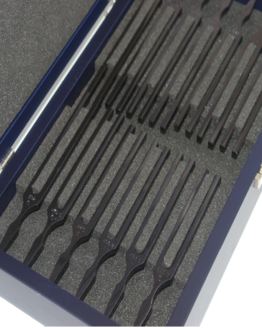 Gardiner Brown Tuning Fork – Chrome Plated Forged Steel. 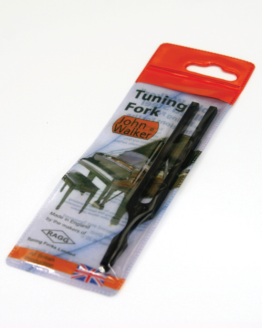 Hardened and tempered for notes of long duration. 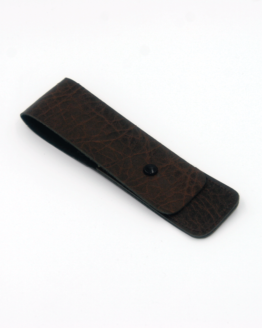 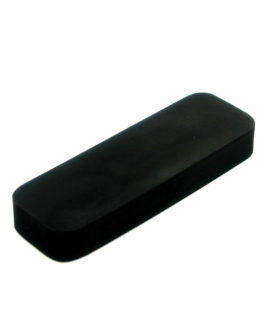 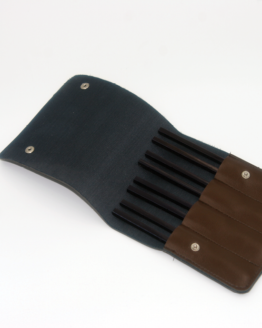 Integral finger grip for general practice and diagnostic use. 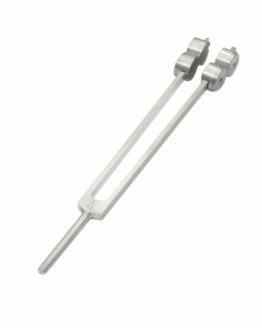 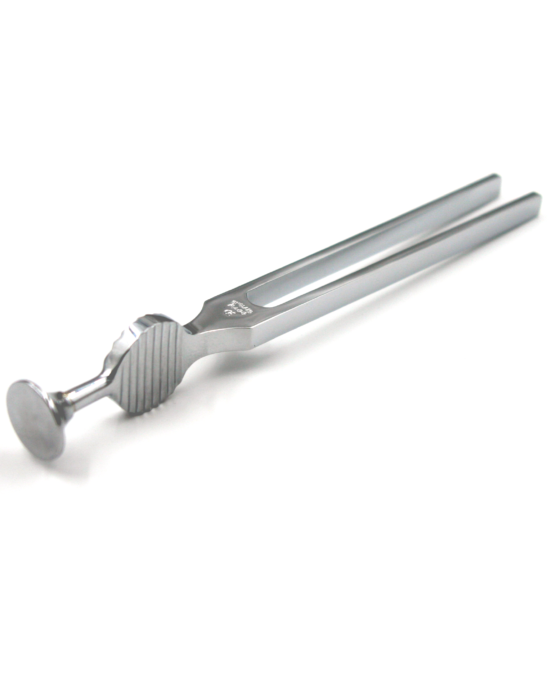 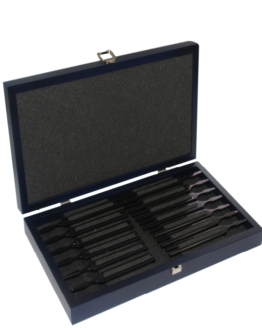 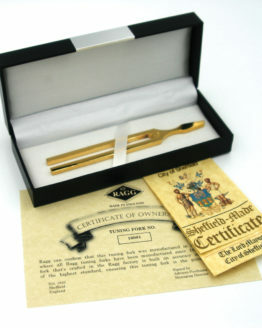 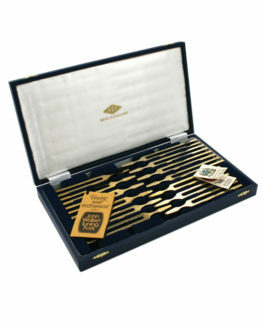 Suitable for the Rinnie test and other medical tests performed with a tuning fork. 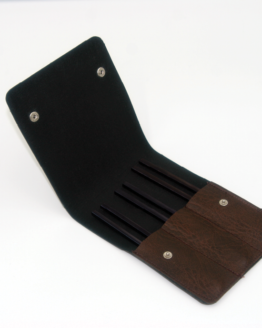 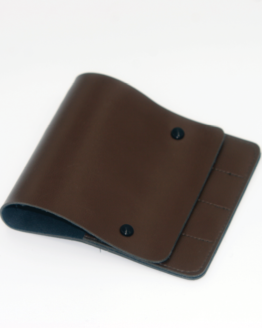 Made in Sheffield, England with the highest quality materials.